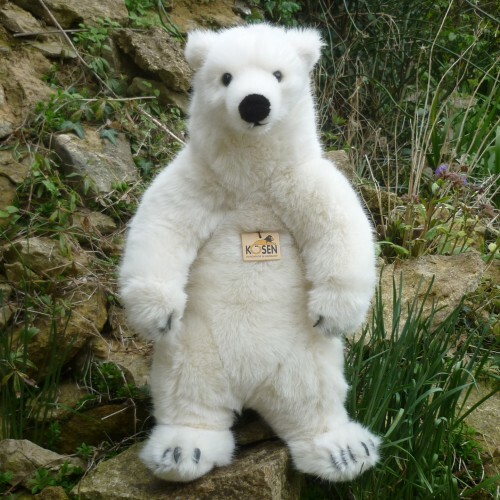 Large and very soft, this polar bear is made of dense, white, long pile plush with felt claws. He is softly pellet filled and is very tactile. Non-jointed. Surface washable.